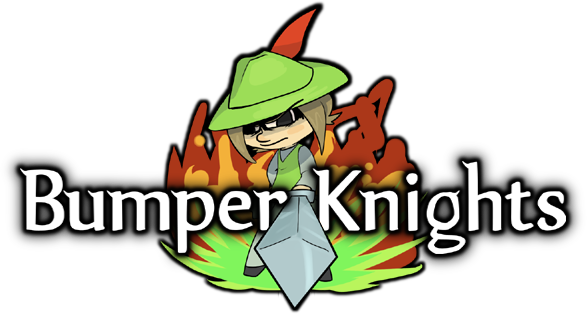 Bumper Knights is fast-paced, action-brimming, trajectory-flinging fun! Bounce your way through procedurally generated forests, villages, and castles to save the land from the forces of greed while collecting rare and powerful weapons in your favorite replayable quests. Together we will win! Download the full game right here: BumperKnightsWindowsInstall.zip. Enjoy! It's also available on the XBox 360's XBox Indie Arcade. Download the free demo right now! "This is how indie games should be." "Very charming game. Great aesthetic and good fun bouncing around." "I never knew bumping could bring so much meaning to my life!" Is that like a hipster thing? Look it up on the Xbox 360 Indie Arcade today!